Can you remember what you expected motherhood to be like? Did it look like you holding quiet baby on a rocking chair, looking longingly into each others’ eyes? Did it look like you putting baby down with ease and bidding baby goodnight as he wafted into a peaceful 8-hour rest? Did it look like you cooking away calmly as your toddler entertained herself with beautifully crafted European toys nearby? Did it look you coming home from a fulfilling career, energized to spend quality time with a contented child? This romantic vision of clean smiles, hugs and moments of shared peace and fun are engraved in many mothers’ minds and expectations. These images conveniently miss out on a few common-felt Mom feelings and experiences, though. I am always in a rush – with or without kids, I am always on the go. My “to do” list dominates my life, annoyingly bouncing through my head all day long (and sometimes at night, too). My mind is full, and doesn’t stop nagging me. I am struggling to tick all my boxes (but not really enjoying much of it). I am not connecting with my loved ones as often or in the way I want to. I doubt myself as a mother and professional. I say: “I am not enough. I don’t do enough” to myself regularly. I want to “ban busy” but I don’t know how. There are courses to help women through pregnancy, childbirth, breastfeeding, weening, sleep training and parenting. But there is nothing that prepares and supports a woman to manage the stress and turbulence that may take over her inner worlds when she becomes a Mom in this manic and demanding modern age. 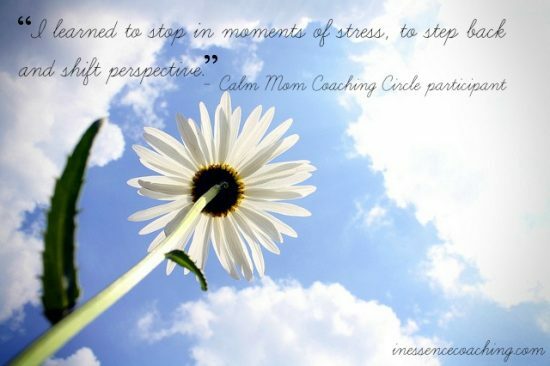 The Calm Mom Coaching Circle is just that. It is a safe and supportive space where like-minded mothers come together to share their experiences and learn to uncover the calmer and more joyful mothers they truly are. If you are a Mom looking to better manage anxiety, stress and your family relationships; to become more accepting, calm and present in your responses to life’s daily challenges then join this amazing space. You will walk away with more self-acceptance, more self confidence as a Mom. You will learn to integrate more ease, fun and joy into your family life. Alexandra Hughes is a transformational women’s coach dedicated to helping mothers find balance, joy and to become empowered creatrixes and leaders of their personal and professional lives. She launched In Essence Coaching, LLC in 2011 after training with the International Coaching Academy to become a Certified Professional Coach. Prior to this, Alexandra dedicating 18 years of her professional career to International Development research and practice. In Essence Coaching, LLC is Alexandra’s private coaching practice dedicated to helping mothers suffering from stress and overwhelm, to find balance, joy and self-empowerment. Alexandra loves her coaching projects second only to my three mischievous and vivacious children and her loving husband who live, love and laugh together in Washington D.C.
Little Family Yoga (21 months-4 years) classes are engaging and fun. Class incorporates age-appropriate yoga poses, dance and creative movement, songs, stories, and games as children learn yoga through social interaction, repetition, and play. We… Continue Reading Is Motherhood Not What You Expected It To Be? Tot Yoga (crawling-24 months) classes are engaging and fun. Class incorporates age-appropriate yoga poses, dance and creative movement, songs, stories, and games as children learn yoga through social interaction, repetition, and play. We encourage each… Continue Reading Is Motherhood Not What You Expected It To Be? This class for newborn to precrawling babies and their grownup(s) contains dozens of yoga-inspired movements, postures, songs, rhymes and activities designed to support baby’s development. 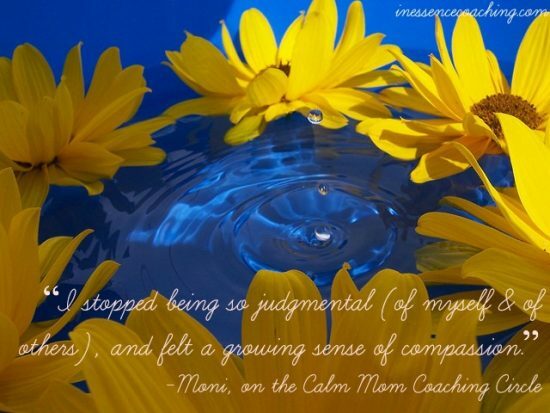 Each class is filled with calming, nurturing ways to enhance… Continue Reading Is Motherhood Not What You Expected It To Be? Cancelled due to low enrollment. Tot Yoga (crawling-24 months) classes are engaging and fun. Class incorporates age-appropriate yoga poses, dance and creative movement, songs, stories, and games as children learn yoga through social interaction, repetition,… Continue Reading Is Motherhood Not What You Expected It To Be? Little Family Yoga (21 months-4 years, with younger siblings welcome) classes are engaging and fun. Class incorporates age-appropriate yoga poses, dance and creative movement, songs, stories, and games as children learn yoga through social interaction,… Continue Reading Is Motherhood Not What You Expected It To Be? 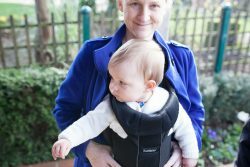 Whether working from home, at the office, full- or part-time, parents have questions about how to manage the transition back to the work world after baby, including the practicalities of breastfeeding while working. 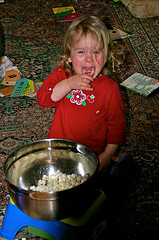 Join an… Continue Reading Is Motherhood Not What You Expected It To Be? In this all-level yoga class, moms will cultivate the flexibility, concentration and strength needed during the transformative time of pregnancy and childbirth. Enjoy the community of other expecting mothers while we practice modified yoga postures,… Continue Reading Is Motherhood Not What You Expected It To Be?